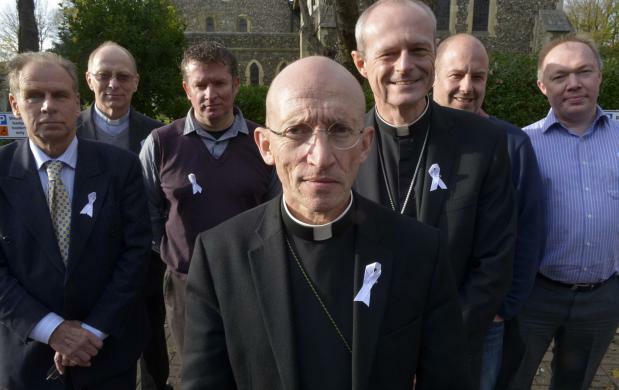 The Bishop of Chichester, Martin Warner, and the Bishop of Horsham, Mark Sowerby - both bishops of The Society - supported the White Ribbon Day Campaign (WRC). 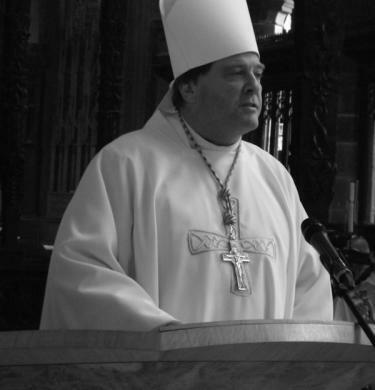 They joined around 60 Bishops from other dioceses to raise the profile of WRC which campaigns for men to say: “no to violence against woman”. They are pictured here along with colleagues at Church House Hove. Picture courtesy of Terry Applin.